The experience can be terrifying and exhausting for those who are uninformed that it is actually common, harmless and natural, potentially a springboard to positive, transformative experiences of self-knowledge and mind expansion. Psychiatrists and therapists are sometimes contacted by patients who report sleep paralysis hallucinations. Priests, rabbis, imams and other religious counselors hear stories of demonic attacks in the bedroom, as do our out-of-body experience instructors. The experience can be terrifying and exhausting for those who are uninformed that it is actually common, harmless and natural, potentially a springboard to positive, transformative experiences of self-knowledge and mind expansion. Ever feel paralyzed in your sleep and sensed a negative presence holding you down? It is not really a spiritual attack and it is not exactly a hallucination either. So, what is it, then? Studies show that between 25% and 50% of Americans have had sleep paralysis at least once and that around 8% have it with some regularity during an extended period of time. During REM sleep, our brains normally paralyze our muscles to prevent us from injuring ourselves as we dream. 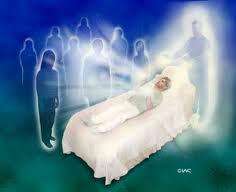 This is a healthy mechanism that we are usually not aware of because we are dreaming with low lucidity. However, when we are more conscious during the beginning or end of this cycle, we can become aware of our body but find ourselves unable to move it for a brief period of time, which can understandably feel quite long and scary. The inability to move can trigger dream-like scenarios related to this, such as “spirit attacks,” based on our cultural background. The SP experiences of feeling “attacked” are more related to dreams than hallucinations, which are usually associated with seeing or hearing things that are not real or excessive distortion of our senses during the waking state. This is not unlike the micro-dreams we have of falling down during jerk awake -- possibly related to the return or re-alignment of the “astral body” to the physical body. The correlation of sleep paralysis and OBEs explains why it is also referred to as projective catalepsy. Hallucinations result in perceptions that are not normal for the waking state. They can be visual, auditory, or otherwise and can be triggered by usual conditions like high temperatures, drugs, electromagnetic stimulation of certain parts of our brain, extreme hunger or thirst, and brain abnormalities or lesions associated with psychiatric disorders like schizophrenia. They can be common, benign, fleeting “tricks of the mind” or persistent, disturbing and possibly a result of severe bodily and mental illness - and hence a cause for concern - unlike sleep paralysis which is considered a common and benign altered state. A hallucination implies that the person is experiencing something that is detached from our consensual reality and should get checked by a health care professional right away. The reason is that many medical and mental conditions that can cause hallucinations and may quickly become emergencies. The person should not be left alone to prevent harm to self or others. Some hallucinations are common and not persistent, but fleeting and do not cause a serious detachment from reality, while others take place because one is exhausted or intoxicated. Some, however, could be a sign of a serious condition. Feeling bodily sensations, such as a crawling feeling on the skin or the movement of internal organs. Hearing sounds such as music, footsteps, windows or doors banging - these are normal during sleep or psi-related altered states, like intracraneal sounds like before an OBE - but not during the waking state when no one else can hear these. 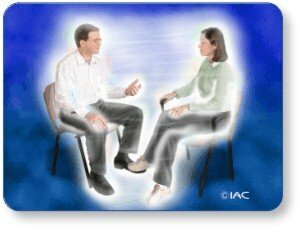 Hearing voices when no one has spoken (the most common type of hallucination). These voices may be critical, complimentary, neutral, or may command someone to do something that may cause harm to themselves or to others. While there are psi-phenomena, these take place during the normal waking state and generally are disturbing and persistent voices. Momentarily hearing the voice of, or briefly seeing, a loved one who recently died can be a part of the grieving process (and at times could be an actual psi phenomenon such as clairvoyance or clairaudience). Seeing patterns, lights, beings, or objects that are not there. When momentary, this is quite normal and happens to most people here or there. When persistent and disturbing, it is certainly not usual and could signal a serious problem. Smelling a foul or pleasant odor. While this could happen momentarily due to a memory or an altered state, a persistent occurrence during the normal waking state could signal a serious health condition. The scientific consensus is that these are natural, fairly common altered states. Hallucination may not be the most appropriate term to describe the experiences that accompany sleep paralysis, which is more closely related to dreams. The term hallucination typically refers to a distortion of reality perceived due to ingestion of mind-altering substances or serious illness. Multidimensional science sees sleep paralysis as more than benign: as one of several natural springboards into other levels and aspects of consciousness, as it is highly related to out-of-body experiences, which can aide self-knowledge and self-development. Discover how sleep paralysis and other phenomena can be tapped to naturally expand your awareness in healthy and transformative ways. Contact the nearest IAC location for in-person and online courses and training activities.